When a passenger found a federal air marshal's loaded service weapon in the bathroom during a trans-Atlantic flight last year, the blunder became headline news. It sparked public outrage, prompted an investigation and led to calls for reform. The Transportation Security Administration's Office of Inspection has documented more than 200 cases of air marshals allegedly misusing firearms or misbehaving with guns between roughly 2005 and 2017, according to records obtained through a Freedom of Information Act request. In 19 of the cases, air marshals allegedly fired their weapons accidentally. For example, the documents state that in 2017 an agent based in Charlotte, North Carolina, "unintentionally discharged a personally owned firearm resulting in a gunshot wound to his right foot." On one occasion, an air marshal allegedly left his gun inside a Bed Bath & Beyond store in Totowa, New Jersey. In another, an investigation was launched after police found a "range bag" containing a gun box and ammunition in a school park. "All reports of misconduct are taken seriously and fully investigated. When those investigations validate any misconduct, TSA takes swift disciplinary actions," said Kelly, who added, "we are proud of the highly skilled and trained Federal Air Marshals (FAMs) who keep our skies safe every day." The documents from TSA's Office of Inspection, which audits and inspects TSA operations, do not stipulate whether the allegations of misconduct were substantiated, or whether the air marshals involved were disciplined. The records also did not identify the employees by name. TSA has investigated 35 incidents in which air marshals were alleged to have unintentionally or inappropriately discharged or brandished weapons between 2007 and 2017. Of those, 27 incidents were substantiated and resulted in disciplinary action, while eight were cleared with no action taken. TSA did not share the number and outcome of investigations of other types of alleged misconduct involving firearms described in the documents. How the cases compare to rates of misconduct with firearms within other law enforcement agencies is unclear because the total number of air marshals is classified. However, former air marshals say any mishap with a firearm is unacceptable because of the unique sensitivity of aviation security. "When you're in an airport around thousands of people or in an airplane that's essentially a small tube 30,000 feet in the air, you have to be incredibly accurate. You can't make mistakes," said Henry Preston, a former air marshal and training instructor who retired in 2014. Preston and four other former air marshals reached by CNN said they observed inconsistencies in "recurrent training" during their time with the Federal Air Marshal Service, such as disagreements among instructors on how to enforce marksmanship and safety standards. Air marshals are required to undergo recurrent training that includes quarterly marksmanship evaluations and annual off-range safety courses, but a 2016 report by the Government Accountability Office found the air marshal service did not have complete and timely data on the extent to which its officers completed that training. Kelly, the air marshal spokesman, said TSA has implemented the GAO's recommendations on how to better evaluate air marshal training. Three of the cases in the documents obtained by CNN related to misconduct during firearms training. In 2013, for example, an air marshal instructor "committed egregious safety violations" by allegedly throwing a handful of expired simulation ammunition into an open fire during a training exercise, according to the records. The ammunition exploded and flying debris hit one staff member in the face, the documents state. Daniel Kowal, a current supervisory air marshal and section chief at the agency's training facility near Atlantic City, New Jersey, said that while any case of misconduct is embarrassing, the Federal Air Marshal Service prides itself on rigorous firearms training and strives for zero errors. "When we hear incidents like this, we immediately convene a panel to address them and we look at what was the underlying cause, what happened, if and when the training failed, how and why did it fail, and how do we plug that gap," Kowal said. 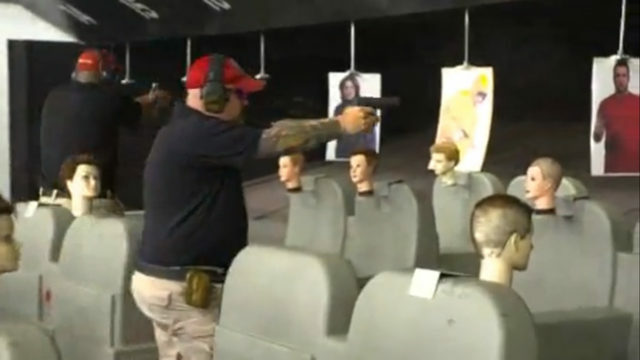 In addition to recurrent training, all air marshals must first go through a 16-week training course that starts with basic law enforcement techniques, taught in New Mexico, and ends with more advanced weapons-handling and other skills taught at the Atlantic City facility, where CNN observed training in action. Kowal said air marshals must achieve a minimum marksmanship score of 255 out of 300, which he described as the highest firearms qualification standard in federal law enforcement, and he said air marshals have an average individual score of about 283. Brian Borek, who represents air marshals as agency president at the Federal Law Enforcement Officers Association, told CNN some field offices do an excellent job with recurrent training, while disparities exist at others because of limitations on size, resources and personnel. He said that doesn't make them less effective, "just different and limited." "These challenges are not unique to FAMS agency, however. This exists at all large-scale organizations. This in no way translates to the readiness or skill set of air marshals. They are the best in the world," Borek said. The incidents of misconduct with firearms adds to a history of controversies that have plagued the Federal Air Marshal Service. Several former air marshals reached by CNN said that in addition to inconsistencies in recurrent training, grueling hours, low morale and even alcoholism affect the mission-readiness of many air marshals. 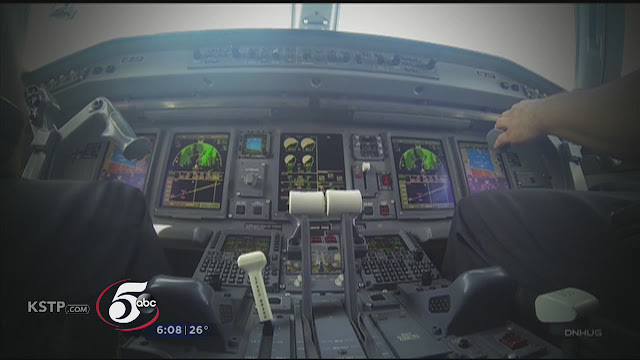 "There are systemic problems within the culture that affect the men and women doing the job," said Clay Biles, a former air marshal who wrote a book about the agency, titled "Unsecure Skies." In 2012, a commissioned study conducted by the Division of Sleep Medicine of Brigham and Women's Hospital at Harvard Medical School found that 75% of air marshals flying domestic missions were sleep-deficient. The study stated air marshals suffering from fatigue have increased risk of "self-injury" and "greater incidence of serious errors." In 2015, CNN reported that 10 federal air marshals had killed themselves since 2002, and representatives of the Air Marshal Association said job stress contributed to those deaths. At least two of the cases in the TSA Office of Inspection documents obtained by CNN involved alleged suicides by air marshals. The New York Times reported in April that the TSA has had to monitor whether air marshals show up for their flights sober. The TSA said its Office of Inspection makes quality assurance visits to ensure mission readiness. Some government reports have indicated money spent on some air marshal programs would be more effective in funding other forms of aviation security. Last year, the Department of Homeland Security's inspector general found that the air marshal service's "contribution to aviation transportation security is questionable." A document obtained by CNN in August showed a TSA proposal to reduce the federal air marshal program that would save the agency nearly $39 million per year. John Mueller, a political science professor at Ohio State University who has assessed the efficiencies of various forms of aviation security, argues that the costs of air marshals outweigh their benefits. He recommends training and arming more pilots to resist hijackers and adding secondary cockpit barriers. Referring to air marshals, Mueller said, "They deliver about 5 cents or maybe 10 cents of benefit for every dollar that's spent on them. There are much less expensive security measures, which could replace them and save lots of money." A mishap that led to a flight crew not being notified of the presence of two federal air marshals on board a United Airlines flight in August prompted concerns of a possible hijacking, according to a newly released report. Through a public information request, 5 EYEWITNESS NEWS obtained an incident report from Minneapolis-St. Paul International Airport police, which details the confusion aboard United Airlines flight 3531 from Newark to Minneapolis the night of August 20th. Two armed federal air marshals were among the 64 passengers on United flight 3531. However, neither the flight attendants nor the pilot were aware marshals had boarded the plane. When one of the air marshals made his presence known, it sparked an emergency on board. According to the incident report, a flight attendant told investigators she was sitting in the front gallery when a passenger approached and, "demanded to see the passenger manifest." After telling him no, she said the passenger responded by saying, "didn't they tell you me and my partner (redacted) were on board?" When the flight attendant asked for his credentials, she says he said "how about this for credentials," and then lifted up his shirt to reveal a handgun. The flight attendant told police "her heart was racing and that she was scared" after seeing the weapon. She notified the pilot who said he was, "unaware of any (federal air marshals) aboard the aircraft." According to the report, the pilot told her, "to not create any suspicion until he could contact dispatch." An air traffic controller told investigators the information they first received suggested a possible hijacking attempt. That information, according to the incident report, indicated "a person on board the aircraft with a gun causing a disturbance, not breached the cockpit yet." The flight attendant told investigators one of the air marshals got out of his seat to check his bag in the overhead compartments while the plane was still taxiing down the runway. When she instructed him to sit down, the report states the air marshal refused to listen. The marshal retrieved his Federal Air Marshal badge from his bag and showed it to the flight attendant. Once the plane landed, Minneapolis-St. Paul International Airport police arrested and disarmed two men. During questioning, the two presented their Federal Air Marshal identification cards, and they were subsequently released from custody. 5 EYEWITNESS NEWS reached out to Republic Airlines, who was operating the flight for United Airlines, as well as the Transportation Security Administration. TSA works closely with aviation partners to identify, correct and prevent disruptive incidents and ensure procedures are followed. Although we cannot comment on the specifics of this particular case, TSA has worked with all involved parties to ensure a similar incident does not happen again. They acted in a manner consistent with people whose brains change once they possess a gun. And these two additionally possess badges. What a pity. Hopefully both were taken from them. I know a FAM. He tells me they introduce themselves to the flight crew when boarding and often already know them from previous flights. The press likes to maximize drama, since that sells. This article feels "enhanced". Cost benefit analysis ... Federal Air Marshals deliver .05 cents of benefit for every $1.00 that's spent on them. This has to be one of the worst possible jobs for anyone who possesses a functioning brain. Think about how boring, how tediously awful, commercial flying is - just for those of us who ride three hours a year to go to see granmda - and then imagine doing that day in, day out, get off one plane and get on another, and another... for the next ten or twenty years. You couldn't pay me enough to do that. No wonder they're drunk.